This book!! This book!!! IT was FANTASTIC! I'm dying to see what happens next. I need all my book friends to read it so we can discuss it extensively. I'm not sure what's my excuse for not reading it on release day...maybe because I had other books in my TBR first ...but really what's wrong with me? It has been a long time since a book pleased me this way. Most of the time when there is a love triangle, the author makes us suffer through so much angst. I'm ecstatic Sarah J. Mass didn't torture me. It's hard to tell you what I'm talking about without revealing too much of the plot. Let's just say that ACOMAF makes perfect sense. It answers so many questions and reaffirms a lot more. There are new players. Rhys has his inner circle: Amren, Cassian, Azriel, and Morrigan and we get to know them quite well. There is not a single one of them that I don't want to see survive after the war is over. Feyre's sisters become an important subplot for the next book. The best part of ACOMAF is watching Feyre's character growth. She has gone to hell and back, broken and put back together. Nothing is clearer than what she wants and what she is willing to give up or fight to the death to keep. DON'T TOUCH ME. I'M AN EMOTIONAL MESS WHO IS OVERWHELMED WITH FEELS BECAUSE OF THIS BOOK'S ENDING. I read this book back and May, and I am finally getting around to adding more to this review. However, there still isn't much to say about this book besides IT WAS AMAZING. I loved everything about this book, which makes it hard to sum up my feels in this review. I did not think I was going to jump ships in this series because I loved Tamlin in book one and I was more skeptical of Rhys. 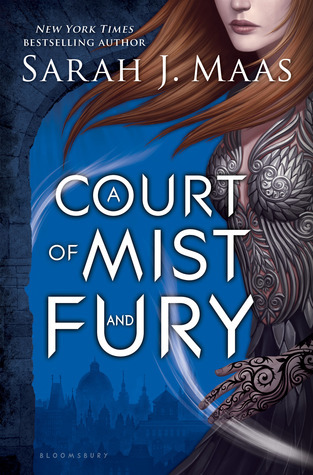 However, now that I have read this book, I have realized how problematic and controlling Tamlin was AND how bad he was/is for Feyre. I now know that Tamlin is not at all what Feyre needs or deserves. NO ONE DESERVES A PERSON THAT ACTED THE WAY TAMLIN DID. TAMLIN IS TRASH. HE IS AN ABUSIVE ASSHAT. BYEEEEEE TAMLIN. I honestly think I was just convincing myself that I loved Tamlin in book one because I love the Beast from Beauty and the Beast , which was sort of Tamlin's character in book one. My judgment of Tamlin was clouded by my love for the Beast. I ADMIT THAT I WAS WRONG IN BOOK ONE. I HAVE SEEN THE LIGHT. I HAVE LEARNED FROM MY MISTAKES. I NOW KNOW THAT RHYS IS THE BEST. I AM SORRY THAT I DOUBTED HIM. Rhys and Feyre... klasdalksdjaklsjdkladioawueanclkajkalsueioaeu. They are soul mates and they are perfect together. That is all I can say without fangirling for years over them. Also, Rhys is probably my top book boyfriend of all time. JUST SAYIN. Anyway, this book was incredible. I loved almost all of the characters (bye Tamlin), the world, the couples, and basically everything. READ THIS BOOK. READ THIS SERIES. BECOME OBSESSED WITH THIS SERIES LIKE I AM.